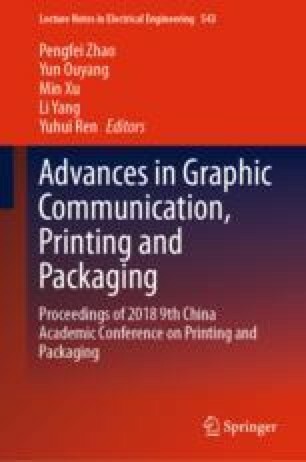 Inkjet printing, as a flexible high-precision functional material deposition method, has been widely used in the preparation of supercapacitors. However, the inkjet printed electrode is usually a planar structure, which greatly reduces the applying performance of the prepared supercapacitor. In this research, the graphene oxide was composited with AgNO3 and dispersed ultrasonically in an aqueous solution to obtain an inkjet printing ink. By controlling the substrate temperature and the printing interval, layer-by-layer inkjet printing was performed on the substrate, and then three-dimensional electrode structures were prepared by vapor phase hydrazine reduction. Experiments show that when the substrate temperature is 55 °C and the printing interval is 60 s, a uniform three-dimensional electrode is printed. The conductivity of the three-dimensional electrode is measured as 2.9 × 105 S/m, and the specific capacitance is 89.6 F/g, the areal capacitance is 36 mF/cm2. The prepared three-dimensional electrode in this research can be applied to supercapacitors, which will have great significance for improving the applying performance of supercapacitors.